Are you up to learning a new technique and creating something different? 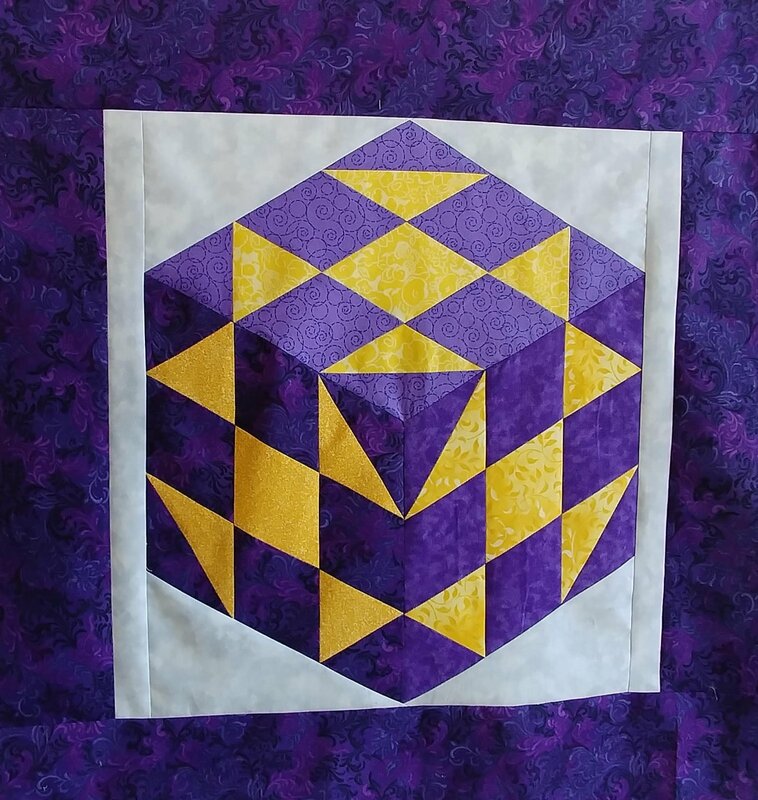 Let’s use Karen Combs patterns and techniques to create a 3-D Cubed Illusion. Join Dee as she shows you how to draft several of the most common simple quilt blocks into a 3-D shape then we’ll cut and sew to create a lovely quilt. Dee will also discuss several other options you can try and review some of the patterns available.